I stumbled upon this shirt design while Googling something else the other day. I had never seen it before, but I think it’s pretty clever. 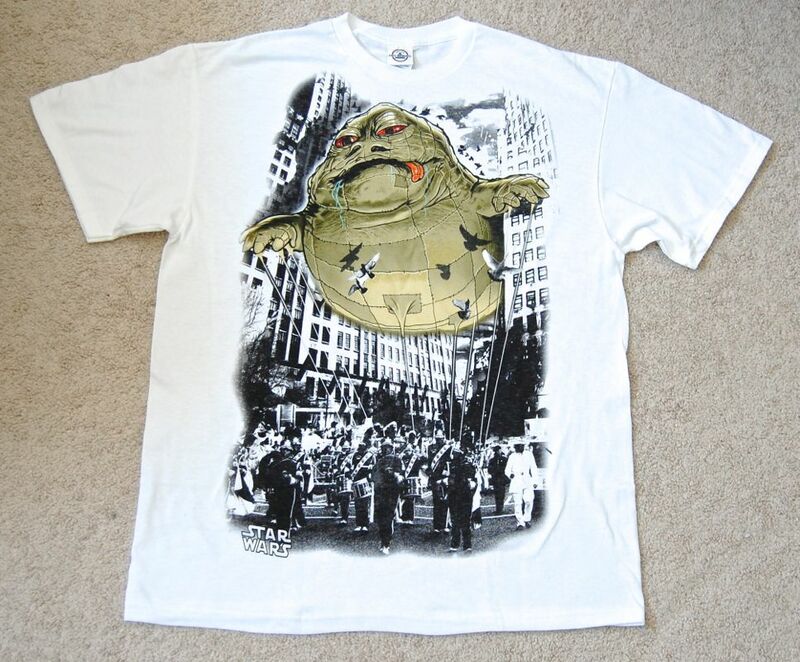 The background appears to be an actual black & white photo, on top of which Jabba has been drawn as a parade balloon. Judging from some listings I see at some online stores, it appears to be from the company “Mad Engine” (who also did the awesome “Jabba the Pimp” shirt I posted about a while back), but I see no mention of this on the shirt itself. It’s available from a number of online shirt stores (try Googling “Jabba parade balloon”), but they are all on the pricey side. Luckily, I got mine on ebay for a lot less.